Vince Carter Plans To Play One More Season - Possible Raptors Comeback? In the 1998 NBA Draft, Vince Carter was initially drafted by the Golden State Warriors with the fifth overall pick. But he was traded to the Toronto Raptors for the fourth overall pick, Antawn Jamison, on draft night – the beginning of a new era in ‘The 6ix’. Highlight-reel dunks, game winners, well actually wins in general, a fabulous one-two punch with his cousin Tracy McGrady and NBA playoffs. 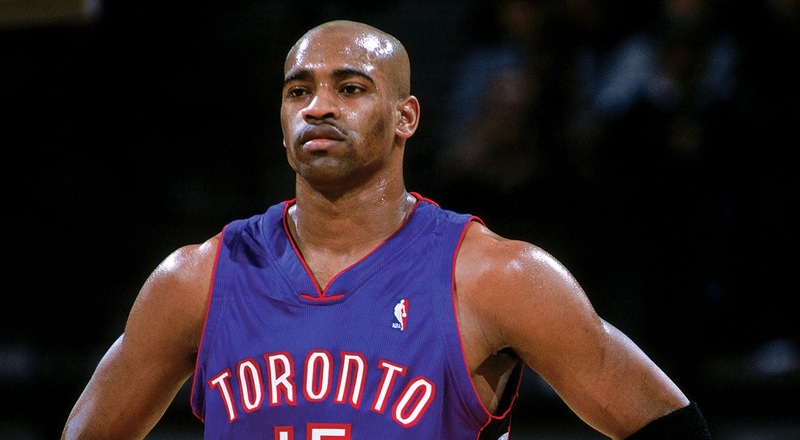 Vince Carter was the man in Toronto between 1998 and 2004. After not making the playoffs in the 2003-04 season, General Manager Glen Grunwald and the entire coaching staff were fired during the summer, which made Carter angry and frustrated with the Raptors’ front office. Eventually, Carter asked for a trade, and on December 18, 2004, the Raptors traded Carter to the New Jersey Nets in exchange for Alonzo Mourning, Eric Williams, Aaron Williams and two first-round draft picks. Toronto fans felt that Carter betrayed them and were mad. Carter jerseys were burned, and new merchandise like ‘FUVC’ and ‘Wince Carter’ shirts went on sale. In his first game back (and in games for years to come) in Toronto, on April 15, 2005, Carter was heavily booed Raptors fans. While the issue with the Raptors has been solved and is all love now (as it should be), Carter is still playing and just revealed that he plans to play one more year, if he finds a team. Does he want to play another season? The Toronto Raptors should make the fairytale ending to Carter’s career possible and sign him for one more year. Last year Carter was asked about the rumors of a potential return to Toronto and said that a reunion will happen someday. The question was reffering to the night a documentary about Vince Carter named The Carter Effect, premiered at the Toronto International Film Festival. At the event, Toronto Raptors president Masai Ujiri said that the Raptors tried to bring Carter back this year, and that the 40-year-old “will be home in Toronto”. Will it happen? My fingers are crossed!